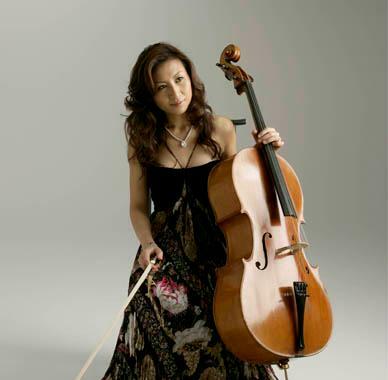 The leading Chinese cellist of her generation, Jing Zhao won first prize at the prestigious ARD international competition in Munich in 2005 and went on to receive the 2009 Exxon Mobil Music award in Japan. Seiji Ozawa chose her as soloist, together with the violinist Vadim Repin, the pianist Lang Lang and the Singer Kathleen Battle, for the opening new-year concert of the China Grand Theatre in Beijing. He had already been instrumental in helping her move to Berlin where she studied at the Karajan Academy, as well as studying privately with Yo-Yo Ma and Mstislav Rostropovich. She is now a regular guest at Martha Argerich’s festival in Lugano, and also appears at the Jerusalem festival, Zagreb festival, Istanbul international festival and Folles Journees. Jing Zhao was born in Beijing, and while studying in the Central Conservatory of Music in Beijing with Song Tao, was discovered by the Japanese cellist Ryosuke Hori who brought her to Japan for further studies at the Tokyo College of Music, under an exceptional Scholarship programme. While living in Berlin she also participated in masterclasses with Mario Brunello and Georg Faust at the Academia Chigiana in Sienna. She has recorded five CDs for Victor Entertainment in Japan. Her most recent CD release is a Russian album, recorded in London with the Royal Philharmonic Orchestra featuring the Shostakovich Cello Concerto. Jing Zhao plays on a Stradivarius Cello on generous loan to her from a private Foundation.